For over an hour after the final whistle on Sunday at Cusack Park Garrycastle players, management, and supporters stood chatting happily, taking photographs, discussing events, and simply basking in the glory of arguably their sweetest Westmeath SFC victory. 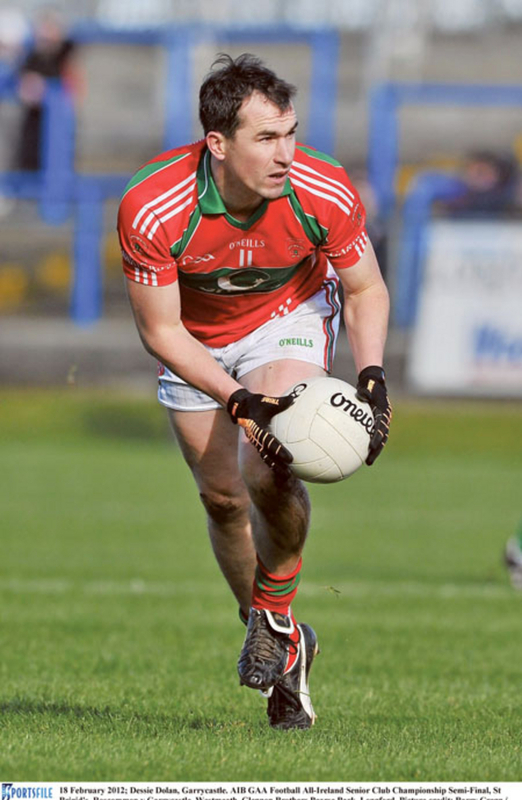 A seventh county title was achieved by virtue of a sensible display, orchestrated by Dessie Dolan, who kicked five pressure frees and made 30 plays during a match he controlled. The fact that Garrycastle were managed by his father and hero, Des Dolan Senior, merely added to the glowing sense of satisfaction. “To get to where I got to in football was just one-on-one with him all them years,” Dessie Dolan said afterwards during a proud and emotional interview. The respect between the Dolans was evident all afternoon and Des Senior was thrilled that his son was vice captain for this sweet success. “We are football people and that was the first time Dessie lifted the cup in seven championships,” the Garrycastle manager reflected. “That is his seventh medal, it was a tremendous victory especially for the younger lads on the panel. I won a few with Athlone, but this is a highlight because I had two sons playing and I had three nephews who won the cup against all of the odds.